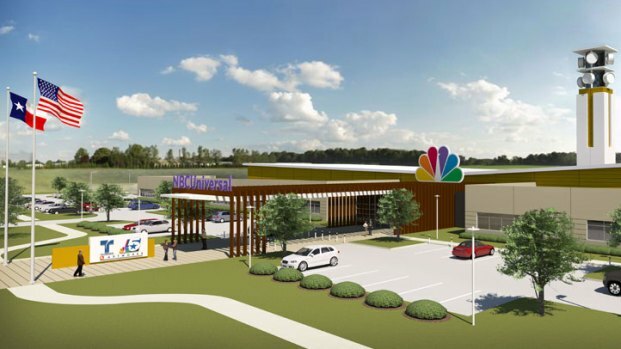 NBC 5 / KXAS-TV has finalized plans for construction of a state-of-the-art broadcasting and multimedia news facility to be located in The CentrePort Business Park, just south of the Dallas-Fort Worth International Airport in Fort Worth. The technologically advanced facility is being specifically designed to provide the resources for journalists to collect, interpret and report the news and information most relevant to North Texans 24-hours each day on multiple distribution platforms. The 75,000-square-foot building will combine NBC 5 facilities currently located on Broadcast Hill in east Fort Worth and in downtown Dallas to the 8.1 acre site in Fort Worth. The project developer, KDC, will commence construction at the end of June with completion slated for late 2013. NBC 5 / KXAS-TV signed-on as WBAP-TV on Sept. 27, 1948 as the first facility in the southwestern U.S. specifically designed for television. See historical photos on our Facebook page, here. 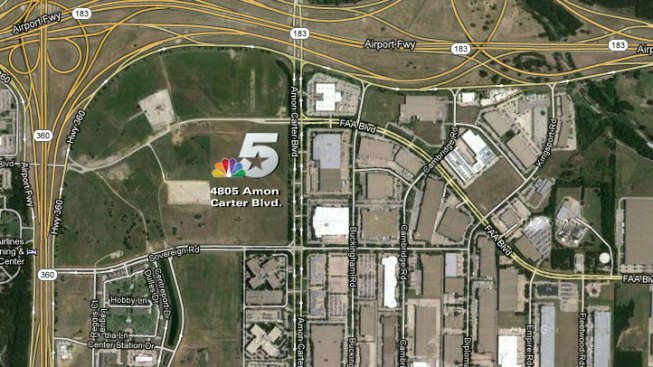 The new facility will be built on the southwest corner of FAA Boulevard and Amon Carter Boulevard, with the 4805 Amon Carter Boulevard address honoring the year we went on the air, our channel number and, of course, the station's founder Amon G. Carter. Carter, Fort Worth Star-Telegram publisher, businessman and civic leader, dedicated the studios that expanded his media business into the exciting new technology of TV. The new facility will also be built on the site of the former Greater Southwest International Airport/Amon Carter Field, just north of where runways 17/35 and 13/31 once intersected. As part of the agreement to build the new facility in Fort Worth, NBC 5 will convey its current 66,000-square-foot building and 26-acre site on Broadcast Hill in east Fort Worth to the city. In addition to NBC 5, the new facility will house Telemundo / KXTX-TV and several other smaller businesses associated with NBC Universal, the parent company of NBC 5. A total of approximately 300 people will work at the Amon Carter Boulevard location. Gary Collett and Matt Heidelbaugh with Cushman & Wakefield were the real estate brokers. Corgan Associates, Inc. is the lead architectural firm. The CentrePort Business Park is a 1,300 acre master-planned community with a “live-work-play” environment. It is home to more than 70 reputable companies including American Airlines, AT&T, and Mercedes-Benz, as well as 2,000 apartment units and three major hotels. CentrePort also includes 200,000 square feet of retail and restaurants in a pedestrian-friendly design with easy access to the commuter rail line.